Wildlife galore! The big Bucks on the wall are not included you have to get your own! 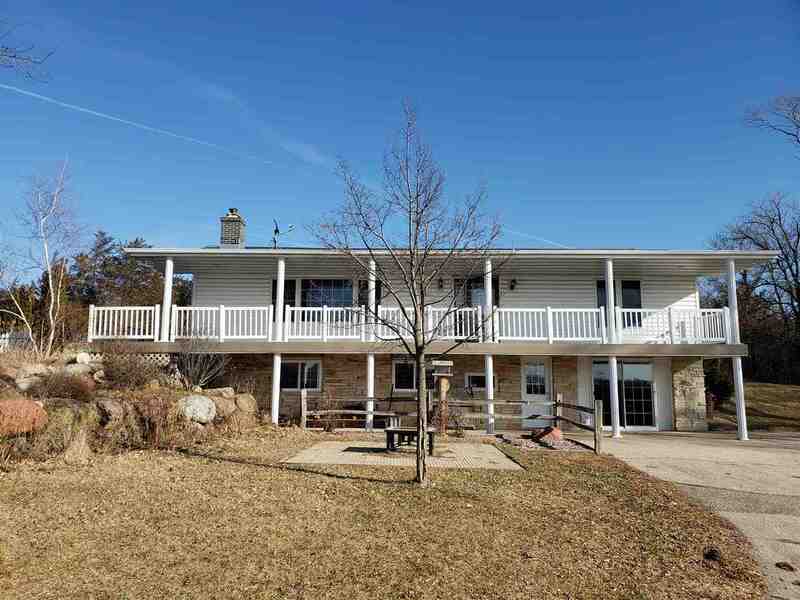 Secluded 8 acres and 4 bedroom home on private drive and nicely decorated. Beautiful scenery from your large 8x48 deck. Huge drive-in Master closet. 6 panel doors and oak floors. Beautiful family room with cozy warm fireplace. Open kitchen to entertain guests while cooking. New 200 AMP Service. Main floor laundry with laundry chute. Plenty of room for the toys! 26x65 Pole shed, 30x40 Pole shed, 18x20 Garage. Peaceful waterfall pond outside Master bedroom window. Nothing to do but move in. Home Warranty available for Purchase. Directions: From Portage: Hwy. 33 East To Left On Cty. F For About 2 Miles. Right On Bornick Rd.